Welcome to our first competition recap! 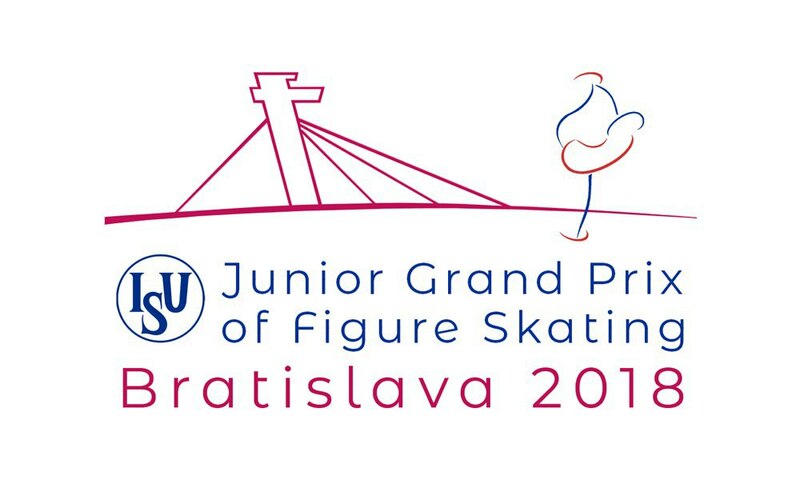 The JGP series has kicked off with JGP Bratislava this weekend. As a junior-level complement to the senior Grand Prix series, the top six skaters after a series of international competitions in each discipline will qualify for the Junior Grand Prix Final in December. We recommend it to everyone: livestreams and videos are easily accessible on Youtube, commentated by the always kind and informative Ted Barton. We've enjoyed seeing some familiar and new faces. Here's a summary of some notable performances from each discipline. For more information and other skaters, see the official results. 🏅 Mishina / Galliamov won this event by over 10 points. Many of us were happy to see the reappearance of their short program from last season - Robbie William's Party Like a Russian. It’s always fun to see creative music choices! They had a near perfect short with only one -GOE across the board on their SBS 2A. 🥈Panfilova / Rylov took silver with an amazing free skate, with massive throw jumps. This was undoubtedly one of the highlights of the competition, and we wish them the best of luck moving forward in the Grand Prix, and the rest of the season! 🥉Completing the Russian sweep were Ahkanteva / Kolesov in third place. This couple had some solid elements and really nice lift positions. Particularly impressive was their triple twist in both the short and free skate which received some 5s and 4s from the judges. Although McIntosh/Toste are a reasonably new pairing for Canada, they performed pretty solid elements here. Some more work on their projection and performance and they could be a pair to look out for! Also impressive were the SBS 2A's in Andrew/Fletcher's free skate. Their Pirates of the Caribbean free skate was lacking in choreography in some parts, but hopefully should grow throughout the season! 🏅 Stephen Gogolev made his debut on the international junior circuit after becoming the 2017 Canadian Junior Champion at only age 12. He became the youngest man to land a quad in a JGP event with his three clean quads in the free skate. 🥈Taking the silver medal was Mitsuki Somoto. His skating skills are much improved from last season and his fluidity on the ice made his performances very enjoyable to watch, particularly his short program Tosca. Having won the bronze medal at the JGPF last year, he is an accomplished junior skater and capable of similar success this year. 🥉 In third place was Daniel Grassl. Grassl notably had very good spins, with great positions and speed. In 2017, he became the youngest skater to ever land a 4Lz in international competition, which he remained until Stephen landed his 4Lz here at Bratislava. Other notable performances include Andrew Torgashev, who stunned us with his skating skills and interpretation. We were also impressed by Aleksa Rakic's commitment to his choreography and Donovan Carrillo's charisma and charm. 🏅Elizaveta Khudaiberdieva/Nikita Nazarov took a comfortable lead in the rhythm dance, where they achieved the highest levels on their Argentine Tango pattern. They didn't let go of their lead in the free, where they skated to a mix of Rag'n'Bone Man's Human and Benjamin Clementine's Nemesis (which you may remember from a certain World Champion's SP last year), clinching gold for the first time in their second JGP season. 🥈Elizaveta Shanaeva/Devid Naryzhnyy took silver in their first ever JGP season, with some remarkable twizzles and a very interesting straight line lift in their rhythm dance. Congratulations on a highly successful debut! 🥉Eliana Gropman/Ian Somerville continued to improve on their results from three previous JGP seasons, having been 4th at both of their events last year. The pair has good expression and are still growing into their new programmes but we're keen to see how they evolve! Other standout performances included Loicia Demougeot/Theo Le Mercier's free dance, set to a rocking medal medley of Rage Against the Machine, Metallica and Steppenwolf, and Katarina Delcamp/Maxwell Gart's fun, folksy free dance to a mix of Italian classics. Do check them out if you have the time! 🏅Anna Shcherbakova made a triumphant return to competition in her first junior season, claiming gold with an 18 point margin after a broken leg forced her to sit out most of last season's events. All eyes were fixed on her going into the free skate after she did a 4Lz+3T+3Lo combination in practice earlier in the week, but she ended up going with a more conservative layout, at least by her standards. In an interview after the free skate, Anna explained that she wanted to spend more time stabilising her quad before attempting it in competition, so stay tuned. 🥈Anna Tarusina had her own triumphant comeback from injury, claiming silver after a car accident at JGP Courchevel 2016 kept her out of international competition for most of the last two years. She gave two committed, clean performances, apart from a mix-up with a repeated change-foot combination spin at the end of her free skate. Congratulations Anna! 🥉Young You, the reigning Korean senior national champ, improved on her placements from last season's JGP (5th and 4th) with a passionate rendition of her My Fair Lady free programme. She didn't attempt her 3A but landed three beautiful double Axels. Other standout performances included Yuhana Yokoi's phenomenal free skate to Phantom of the Opera, which netted her 121.50 points (placing 2nd in the free skate), Yi Christy Leung's Florence and the Machine programme and Tomoe Kawabata's 5th place in her JGP debut. The next JGP event is the Cup of Austria next week, where we can look forward to more brilliant junior skaters. Check the official ISU Youtube channel for streams and our Twitter page for further updates during the week! Newer PostCracked Cartilage and Broken Bones, Oh My!